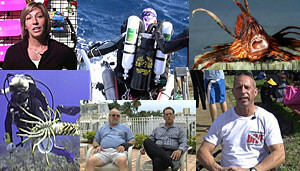 A REAL Web Docu-Reality Series About Dive Charters and the Scuba Diving Lifestyle. It’s About to Get REAL In Here..
With all of the reality shows on the air today, isn’t it about time for a reality show that actually shows reality? 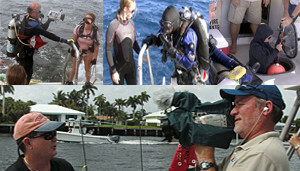 Dive Charter gives you a behind-the-scenes look at a day in the life of a dive boat, and also educates you along the way! 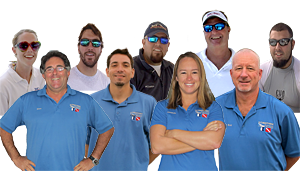 Captains, Divemasters, Instructors, Owners and Divers are all featured in each episode, along with selected diving topics to give you insight and knowledge of dive charter operations. Take a look at current episodes and let us know what you think! Watch Episodes, Meet the Crews, See “Behind The Scenes” Photos and watch Video Clips! Get a synopsis of every episode and maybe even a sneak peek of future episodes! WOW – This is great and can give the dive industry the PR we need! I look forward to watching the programs . Good luck!” – Patrick H.
FINALLY! A reality show that deals with the reality of the dive industry and educates as well! A great concept for a show. The “behind-the-scenes” aspect makes the show stand out from the rest. Keep it up! A great-looking production! Full of information and beautiful above (and below) water footage. Hope the show runs a long time! Episode 12 – “Hurricane” is now online!